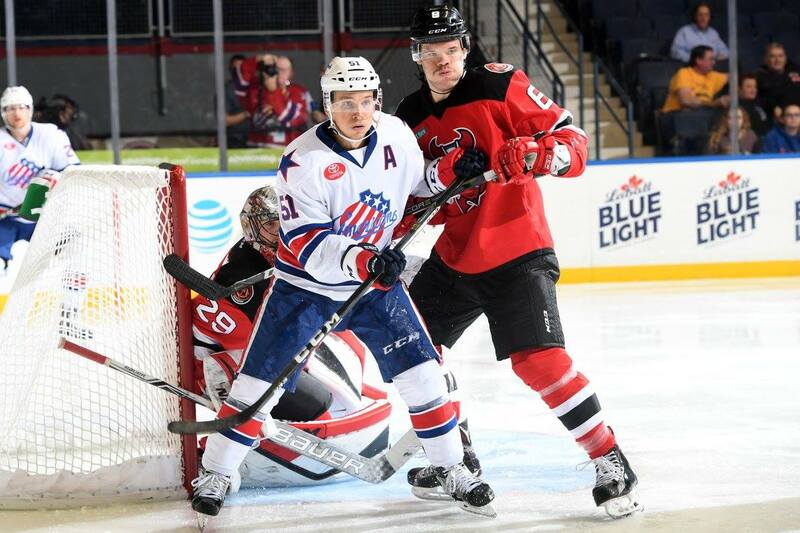 Seven Roster Moves for the Amerks Today · Let's Go Amerks! The front office of the Rochester Americans, Buffalo Sabres and Cincinnati Cyclones were busy today with a total of seven roster moves. This post has gone through a number of edits as each time it was close to being published we’d find out about another move. Now that the day is over this should be it. Kyle Criscuolo – One of the more deserving call ups this season. In 14 games with the Amerks he’s tied in points at 11 with CJ Smith. Criscuolo has tallied 5 goals and 6 assists. Casey Nelson – The Sabres placed Taylor Feduon on the IR and said he’ll be out 6 to 8 weeks so another defenseman heads up and Casey Nelson earned the call. Zach Redmond is returning from a minor lower body injury. What about Brendan Guhle? Why hasn’t he been called up? READ THE ANSWER HERE. Nick Baptiste – Zero points in four games with the Sabres isn’t going to cut it with players producing at a more steady pace in Rochester. Before he was called up he had three goals and two assists in the three games after not putting up any points in the first five games. Brycen Martin – He only played in one game and although he didn’t look out of place the team must have their eyes on others (see below). Vaclav Karabacek – He’s only played in one game this season for Rochester and with the return of Baptiste and Nylander on Friday he’ll be better off trying to get some games played in Cincinnati. Arvin Atwal – Defenseman that has 1 goal and 3 assists in 11 games with the Cyclones. Amerks signed him to a PTO. Eric Knodel – Also a defenseman, he has 5 goals and 7 assists in 11 games with the Cyclones. He was also signed to a PTO. He has also played some games with the Toronto Marlies from 2013 to 2015 which would mean that Gord Dineen is likely familiar with him as well. Alexander Nylander and Zach Redmond are expected to return to the Amerks lineup on Friday night.